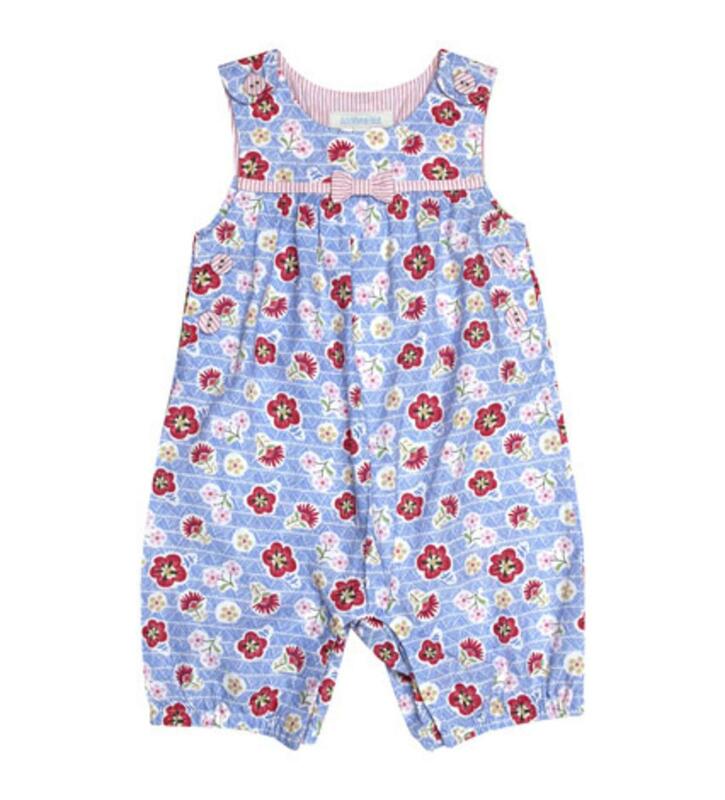 Beyond precious flower romper. The sleeveless pink, blue, green, red and white 100% cotton onsie has a beautiful small bow that makes it very elegant. This has pink/white striped buttons on the shoulders to easily put on/take off.